I am a Principal Research Scientist at Microsoft Research Redmond. My work interests are in the areas of Machine Learning and Deep Learning applied to Machine Translation, Natural Language processing, Speech Translation and Semi-Supervised Machine Learning. My work focuses on applied research leading to innovative and practical solutions for challenging real-life problems. I completed my Ph.D. at Dublin City University and my M.SC. and B.SC. at Cairo University. I joined Microsoft in 2010, before that I had been working in IBM since 1996. Currently, I am working on Neural Machine Translation and Semi-Supervised models. Method and System for Extracting and Visualizing Graph-Structured Relations from Unstructured Text, US 7730085, issued. Method and System for Detecting and Predicting Anomalous Events, Pending. Method and System for Automatically Generating Multilingual Electronic Content from Unstructured Data, pending. Method and System for Selecting a Data Element in a Network, Pending. IBM First Plateau Invention Achievement Award 2007, in appreciation and recognition of creative contribution to IBM progress. IBM Watson Research Center Bravo Award 2006, for significant contribution in Information Extraction Research. IBM Invention Achievement Award 2005, for First Patent Application. Science Foundation of Ireland (SFI) 2005, PhD scholarship at Dublin City University. IBM Technical Achievement Award 2001, For outstanding contribution in EMMS development. 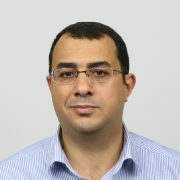 Guest Editor of Machine Translation Journal, special issue on Arabic Translation. Program Committee Member of ACL, EMNLP, HLT/NAACL for several years.